This is a delicious way to start off any morning! Spray counter lightly with non-stick cooking spray. Combine rolls and roll into a 12-inch circle. 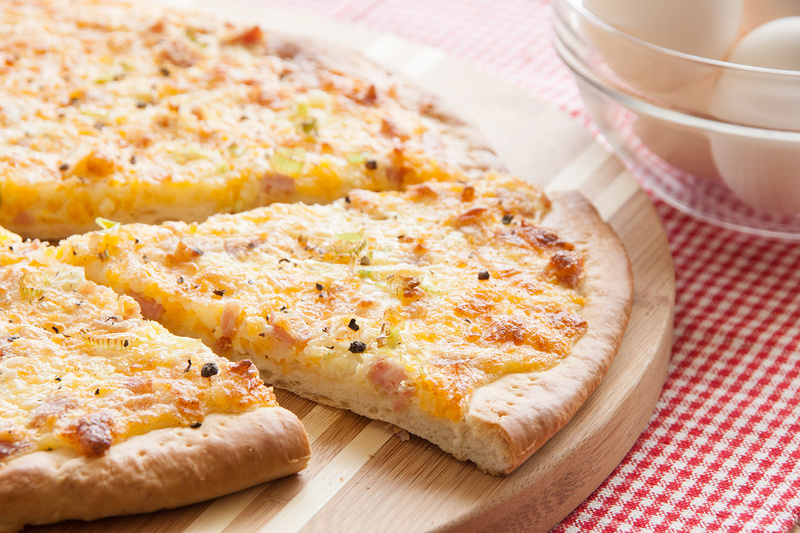 Place on sprayed pizza pan and poke several times with a fork to prevent bubbles from forming. Bake crust at 375º for 5-10 minutes until it begins to turn golden. Combine eggs, cream, salt and pepper. Add cheeses, ham and onions. Spread mixture evenly over pre-baked pizza crust. Bake for 10-12 minutes. Sprinkle top with freshly ground black pepper if desired.